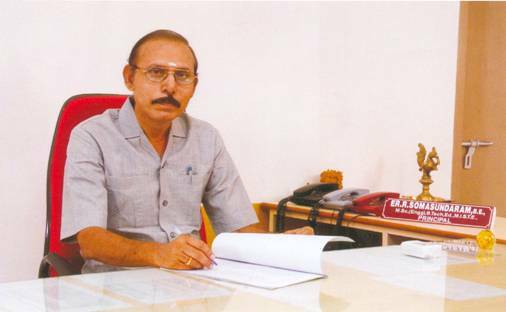 Prof. R. SOMASUNDARAM has over 43 years of teaching and administrative experience in the Department of Technical Education. He was the former Principal at S.S. Polytechnic, Sirkali, Government Polytechnics at Tiruchirappalli and Aranthangi. He was a Faculty in the Department of Mechanical Engineering for 10 years at PSG College of Technology, Coimbatore and was also involved in the compilation of Design Data Book published by Kalaikadhir. 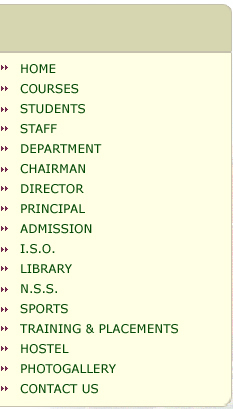 He has authored many text-books for Polytechnic students. He has participated in several Summer Schools and Winter Schools conducted at various institutions under ISTE Program. He had also undergone Industrial Training under QIP for teachers at Ashok Leyland, ICF and SSI, Chennai. 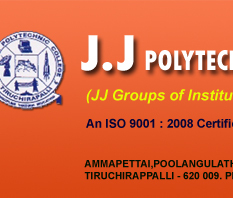 He had undergone Technical Teachers Training Course for Polytechnic Teachers at TTTI, Chennai. He had undertaken the assignment of Value Assessor of Machinery and Equipment by TIIC in number of industries. He had acted as the Chairman of the Syllabus Review Committee for First Year Technical Drawing and Basic Workshops. He has performed the duties as a Member of Inspection Committee for the assessment of Self Financing Engineering Colleges and Polytechnics. He has acted as a Member of the staff Selection Committee for recruitment of Teaching and Non-Teaching Staff. He was appointed by the District Collector, Pudukkottai as a Committee Member for assessing the Procurement of Tools and Equipment of TRYSEM Course in Pudukkottai District. So far as examinations concerned he has acted as Chief Co-ordinator and Tabulator in the Publication of Results of Polytechnic Examination. He was appointed as CO-ordinator for conduct of Entrance Examination for Professional Courses in Tamil Nadu. He is a life member in ISTE and the Institution of Engineers ( India ).